Prominent & Leading Manufacturer from Dewas, we offer semi automatic metal bandsaw machine, high speed semi automatic bandsaw machine, metal cutting bandsaw machine, semi automatic bandsaw machine, metal cutting semi automatic bandsaw machine and vertical semi automatic bandsaw machine. 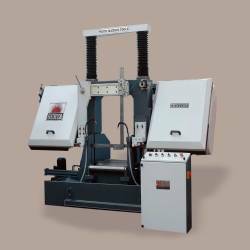 We are actively engaged in offering high quality assortment of Semi Automatic Metal Bandsaw Machine. 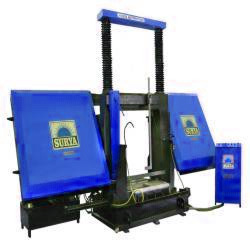 Offered band saw machine is provided in various customized options and specifications to meet the needs of our valued clients. 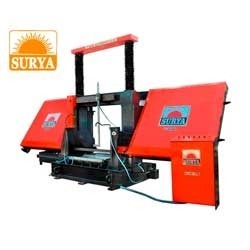 This semi automatic band saw machine has high quality inbuilt hydraulic power pack is provided to make these functions, this machine can cut at straight and at degrees too which makes it very helpful and useful in metal fabrication industry. We are the manufacturer, exporter and supplier of 1500- SA Semi Automatic Metal Cutting Band Saw Machine. 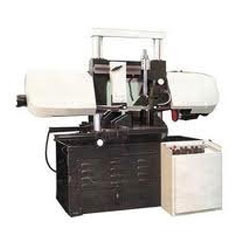 We have established ourselves as one of the most reputed manufacturers of High Speed Semi Automatic Bandsaw Machine that are designed to offer impeccable performance. These are provided with an auto switch off feature in the event of blade breakage. We use the best-grade raw materials to produce these machine with cutting-edge technology by complying with international norms. Main saw motor 7. 5 h. P.
Hydraulic motor 1. 5 H. P.
Allowing for precise miter cutting, these Metal Cutting Bandsaw Machine options are suitable for handling cutting demands of I & H beam, pipe, channel and other structural steel items.This design makes your cutting faster and smooth. 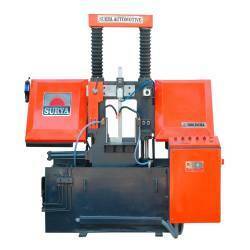 We offer this Semi Automatic Bandsaw Machine which is known for its supreme quality and high durability. 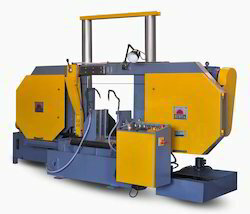 The offered Semi Automatic Bandsaw Machine is extensively used for cutting stainless steel bar rods. We introduce ourselves as reputed and trusted organization to offer a broad array of Semi Automatic Bandsaw Machine. Offered range of machine is manufactured from the best quality input factors and adopting the latest methods of fabrication. 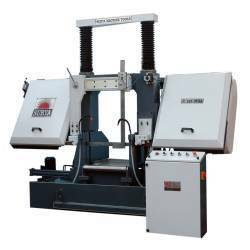 These semi automatic band saw machines are manufactured under the supervision of skillful and experienced professionals. Offered range of semi automatic band saw machine is highly demanded by the clients for its high strength and performance. We are the manufacturer and supplier of 525- SA Semi Automatic Metal Cutting Band Saw Machine. 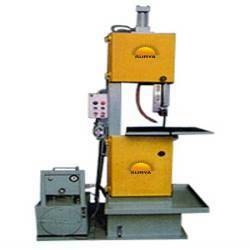 Semi Automatic Bandsaw Machine offered metal cutting machine is manufactured under the vigilance of our adept professionals using quality assured components in adherence to set industrial norms. Our company has acquired the most prominent positions in the industry for manufacturing and supplying an extensive range of Semi Automatic Bandsaw Machine. 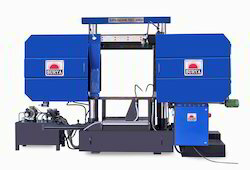 Clients can avail from us Metal Cutting Semi Automatic Bandsaw Machine, as we are a leading manufacturer and supplier of band saw machine which is widely used in automobile industry. These metal cutting semi automatic band saw machines are composed of precision designed cutting edge geometry for clear and long lasting cutting. We offer Semi Automatic Bandsaw Machine has high quality inbuilt hydraulic power pack is provided to make the functions, this machine can cut at straight and at degrees too which makes it very helpful and useful in metal fabrication industry. 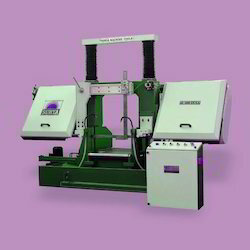 Known in the industry as a prominent manufacturer and supplier, we are engaged in offering Vertical Semi Automatic Bandsaw Machine. These machines find application in many industries like, automobile industry. These are highly demanded for its features like high on quality, durability and strength. 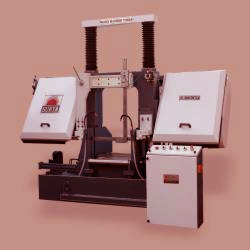 Moreover, this machine is precisely manufactured using the best grade components and modern technology. 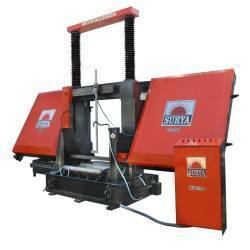 We have emerged in offering our valuable customers a wide array of 1000 DCSA Semi Automatic Bandsaw Machine. These machine are fabricated in such a manner that minimum amount of electricity is consumed by them. Moreover, we make sure to follow all the set industry standards while manufacturing these at our state-of-the-art infrastructure.